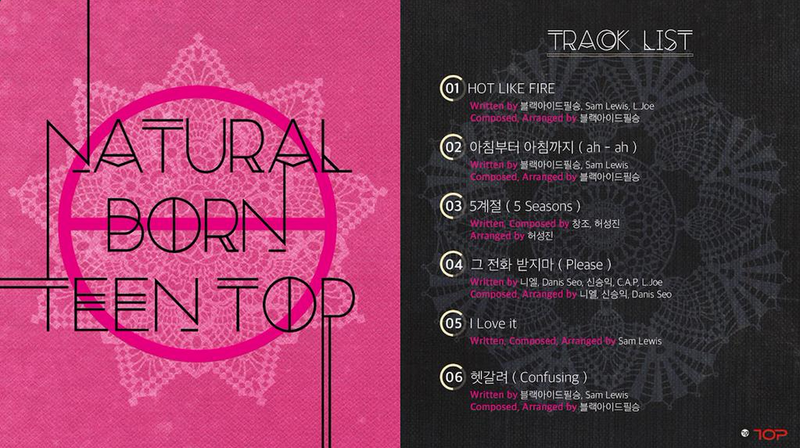 TEEN TOP Unveils Album Medley & Track-List for "Natural Born"
TEEN TOP is returning on June 22nd with their new mini-album "Natural Born". The group has now released an album medley and track-list for the upcoming release. "Natural Born" will include six tracks: "Hot Like Fire", "ah-ah", "5 Seasons", "Please", "I Love It", and "Confusing". The album medley features short versions of each track, allowing fans a taste of what's to come. A music video teaser for "ah-ah" was previously released as well.